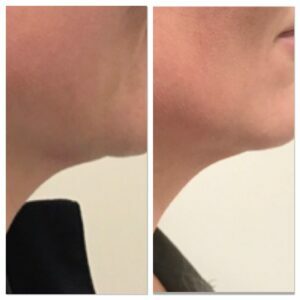 Double Chin fat removal treatment at Changes Clinic! Have you got a fat double chin that you would like to get rid of it? Have you tried dieting as well as the age old tongue to chin trick which is meant to fix double chin and had no luck? At Changes Clinic we offer a non surgical double chin removal treatment which kills the fat as well as tighten the skin under the chin and around the jowls for a more streamlined look. Aqualyx® is injected into the unwanted area of fat, where it liquefies the fat cell, destroying it permanently, releasing the lipids that are then eliminated naturally through the lymphatic system. We have found this the perfect treatment to fix double chin problems. On Saturday 2nd September we are having a special open event specifically for you to watch this double chin removal treatment. Dr Vincent will talk you through the process and the science behind this popular non surgical double chin removal treatment. Our resident Doctor, Dr Vincent will be able to talk you through the procedure and discuss what you would expect to see after 1 or 2 treatments. For your FREE consultation with Dr Vincent call on 02392382000 to discuss our non surgical double chin removal procedures.